9. Mansel, Red My Only One Allstar (Texas) 7174 1958/Dec. 15. Davis, Link Big Mamou Allstar (Texas) 7305 1964/Sept. 16. Butler, Larry Walked Out Allstar (Texas) 7300 1964/Mar. 21. Butler, Larry Zackly [!!] 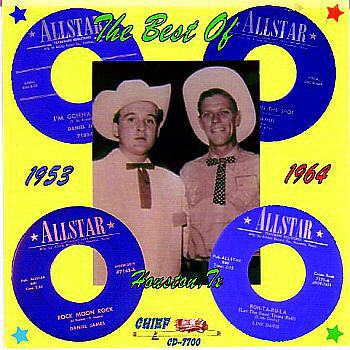 Like You Allstar (Texas) 7300 1964/Mar.